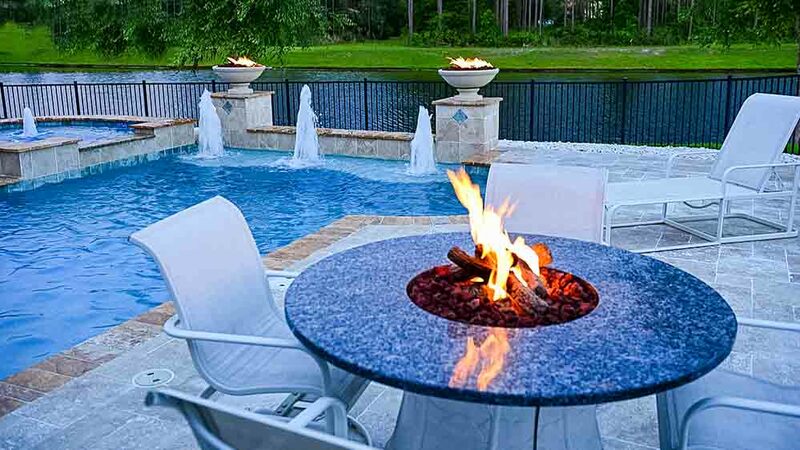 A fire pit can be one of the best possible ways to enhance your outdoor poolside living experience, and bring a real sense of enjoyment and satisfaction to family members and guests alike. When you install a fire pit in the backyard, it instantly becomes a focal point that draws people around it, acting as the centerpiece for good conversation and for warmth on cool evenings. There’s something hypnotic and alluring about the dancing flames in your fire pit, which never fails to bring people together in a cozy ring of friendship and appreciation. 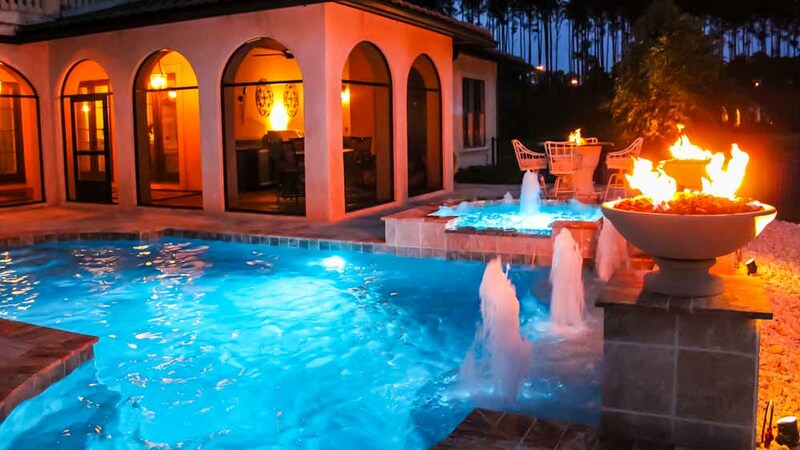 The beauty of installing a fire pit near poolside is that all the benefits of fun and charm can be realized in as simple or as elaborate an arrangement as you care to implement. Your fire pit can be a simple, circular metal enclosure, strategically placed on the patio with a number of comfortable chairs surrounding it. It could also be a three or four-tiered field stone or stacked stone structure, with one side left open for fire-starting. If you don’t care to go the wood-burning route, there are propane gas-fed versions of a fire pits now available, which provide a steady source of fuel to keep the fire burning, and of course the built-in controls which allow you to shut it down for the night when entertaining is over. This fire pit might be the best of both worlds for you, combining a natural look and feel with very controllable operation, which can be managed via push button or control knobs. Some propane gas fire pits can also be converted into barbecue pits simply by adding one or two grates, upon which meats and vegetables can be cooked to perfection. These two-in-one combos are not only economical, but are very easy to manage, and they tend to maintain focus on themselves for the entire evening, by converting from food preparation area to charming fire pit right after the steaks and burgers have been grilled and served to appreciative guests. 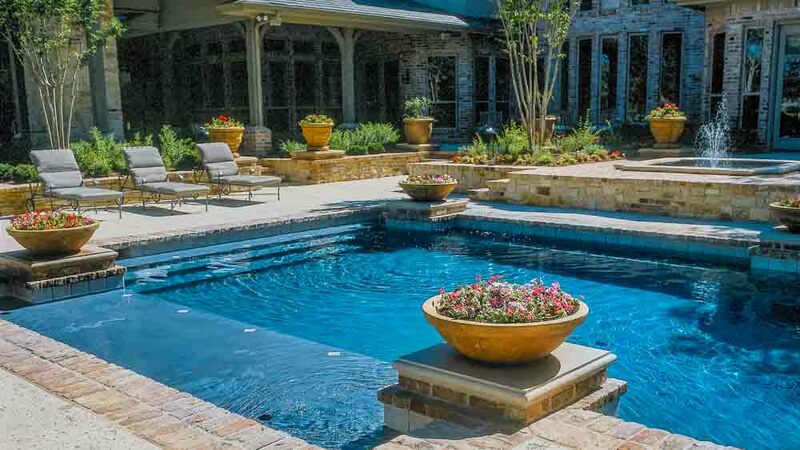 A high quality fire pit can add hours of outdoor enjoyment to your poolside lifestyle, prolonging the experience long after the sun goes down, and cooler air filters in around your pool area. This means you don’t really have to break off the evening enjoyment just because daylight has disappeared, and the sun’s warmth has expired for the day. 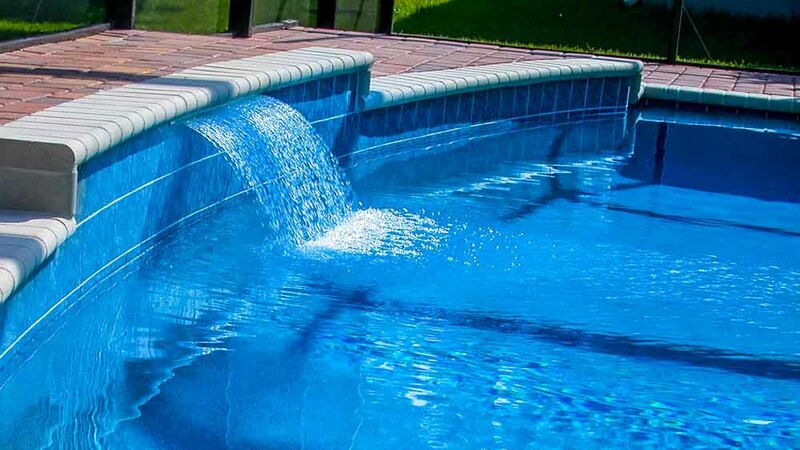 By observing a few simple safety rules around your pool, you can ensure that fun times can be extended indefinitely, limited only by your ability to stay awake. 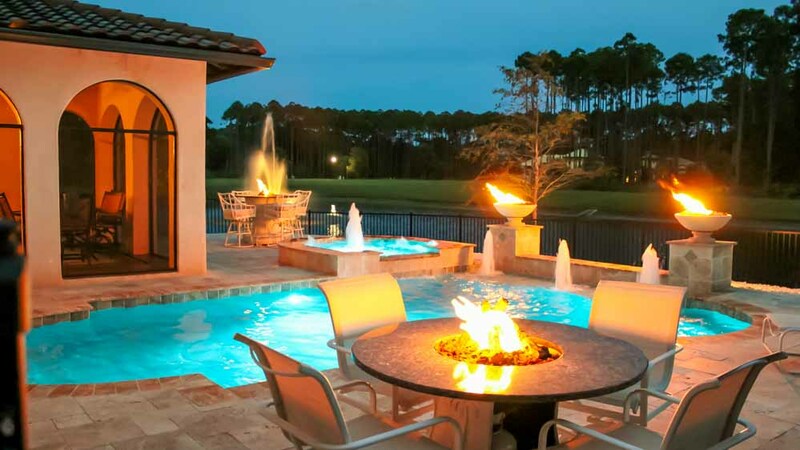 When you’re considering the installation of a fire pit at poolside, make sure you understand how it will be used and how many guests would typically be entertained by it, since that affects its sizing, construction, and even fuel source. Think about the material you’d like your fire pit to be constructed of, e.g. cast iron, stainless steel, natural stone, etc. 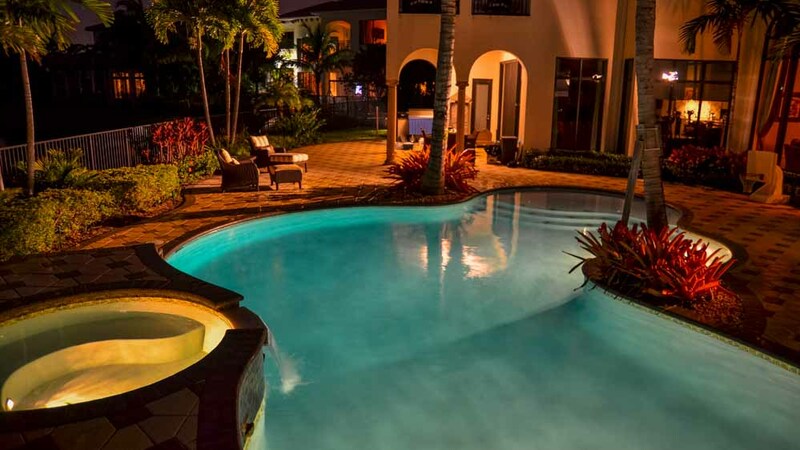 You’ll also want to co-ordinate your new fire pit with other features in your backyard, for instance your patio, garden, or lawn furniture, to ensure compatibility and a harmonious overall atmosphere for your outdoor poolside lifestyle. When you shop wisely and select the right outdoor patio furniture and accessories, your outdoor living space can become a showcase to your visitors.